Santos Torres, under his 'Monoverse' alias, has just started to contribute to the electronic dance music world. The twenty-two year old producer has been working with two others under the Adastra guise, and recently started to share his individual productions. 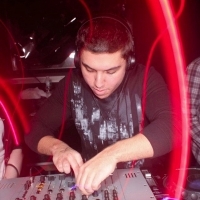 Being an active DJ in the New York City scene, Santos' musical style reflects the diverse tastes of the areas listener-ship by incorporating a blend of different genres in his sets as well as his productions.